Carrabba’s Cares Days in Brookfield, September 17 & 18, 2016. Carrabba’s is hosting our fundraiser to get Xzavier a wheelchair accessible van. There are many advocates against distracted driving and all of these players are in the game because they have lost someone they love or have been injured severely by a distracted driver. Xzavier survived and Xzavier’s mom wants to prevent another child from ever having to go through what Xzavier goes through on a daily basis. Together this mother and son dynamic duo have made appearances to schools, driving schools, colleges, radio and TV shows. Their PSA in the ‘It Can Wait’ campaign went national and the documentary by Werner Herzog ‘From One Second to the Next’ featured Xzavier and his family. Xzavier has been without transportation since the fall of 2014. He has still been able to make a couple of appearances whenever temporary transportation is arranged. 100% of the proceeds from this fundraiser will go towards purchasing a wheelchair accessible van for the Mighty X-Man to get around again. Thank you first and foremost to Cindy Shumacher for your friendship and support through the years. Your work putting these fundraisers together are appreciated more than we can ever say. A big thank you to Astrid Truit for your artistic contributions and your support and friendship through the years. We couldn’t do it without you ladies. to our Silent Auction. Thank you Rick and Deb for this beautiful mirror. This red embroidered quilt is 5’8″ X 7’2″. Thank you Sue Shumacher for the beautiful quilt donation to our Silent Auction. Thank you for this beautiful quilt donated by Brenda Dunning. Thank you Cindy Shumacher for this beautiful bird and flower print from Thunder Mountain Press donation to our Silent Auction. Thank you Beef Jerkey Outlet for your $100 dollar gift card! One loaf of specialty bread a month for a year from Breadsmith in Greenfield! Bunzels of Milwaukee has donated a 20 person meal to our Silent Auction to ‘Get X in Some Wheels’. Thank you Bunzels of Milwaukee. We have a signed picture of the Chicago Cubs! The reveal will be displayed at the fundraiser on September 17th. Thank you Milwaukee’s Comedy Sportz for donating three tickets to our Silent Auction. And Comedy Sportz offers Improv Classes which we think is pretty cool! Click here for information on Comedy Sportz Improv Classes. Cousins Subs has donated four subs to our Silent Auction! Thank you Crowne Plaza West, Milwaukee for your generous donation. We have a one-night stay at the exquisite Crowne Plaza West donated to our after summer weekend fundraiser ‘Get X in Some Wheels’ and Silent Auction. Crowne Plaza Milwaukee West has donated a one night stay at their Four Time Torchbearer Award Winning Hotel. The award winning Crowne Plaza Milwaukee – West is a state-of-the-art, full-service hotel that offers you an ideal location with deluxe amenities. The Wauwatosa hotel is located just 15 minutes from the General Mitchell International Airport (MKE).Just 10 minutes west of Milwaukee in Wauwatosa. Click here to visit Crowne Plaza West Hotel’s website. And they have Reward Nights and other great deals. This one-night stay at the Crowne Plaza West location features a 32″ flat screen TV, WiFi, and triple sheeted beds. Great food, a gym, wake-up service. Perfect for visiting relatives. One King size bed or two Queen size beds. All rooms are non-smoking. Thank you Dave & Busters for the $100 dollar gift card! Fri – Sat 11:00 a.m. – 1:00 a.m.
Click here to find a Dave & Busters near you! The Green Bay Packers have donated a signed football to our Silent Auction during our ‘Carrabba’s Cares’ fundraiser to ‘Get X in Some Wheels’! Footballs shown are for example only. Our football will be presented during the weekend event at ‘Carrabba’s Care’s’. Thank you to Gigi’s Cupcakes for donating a baker’s dozen of mini cupcakes to our Silent Auction. f I can convey just one idea to someone reading my story, it would be to believe in yourself, walk with integrity, work hard and trust in God. And maybe your life won’t turn out exactly how you were expecting or hoping it to be; but maybe, just maybe, it will be so much better than you could have ever imagined! The House of Harley Davidson has donated a one day’s rental to our Silent Auction after summer weekend fundraiser at Carrabba’s Cares Days on September 17 & 18, 2016. Horses, horses, horses. . . Thank you Melissa and Greg Shumacher for this wonderful framed print donated to our Silent Auction. Thank you to the Intercontinental in Milwaukee for donating a one night stay to our Silent Auction on September 17 & 18, 2016.! this Milwaukee luxury hotel offers the best of downtown. See what’s showing at ‘The Rep Milwaukee’ our most famous trio of theaters attached to the hotel. Right in the heart of the city’s business district, this Milwaukee luxury hotel is ideally placed for guests to explore the vibrant river walk, world-class museums, shopping districts or Cathedral Square Park. Intercontinental Milwaukee at 139 E. Kilburn Ave. The Jewelry Center with two locations in Wisconsin has donated this lovely silver bracelet to our Silent Auction. Thank you Joey’s Seafood & Grill for the $20 dollar gift card! Check out Joey’s Desert & Drinks Menu at the next link. Thank you to Menards for the donated grill supplies and lantern to our Silent Auction. A big thank you for the basket donated by Merit Title, LLC. 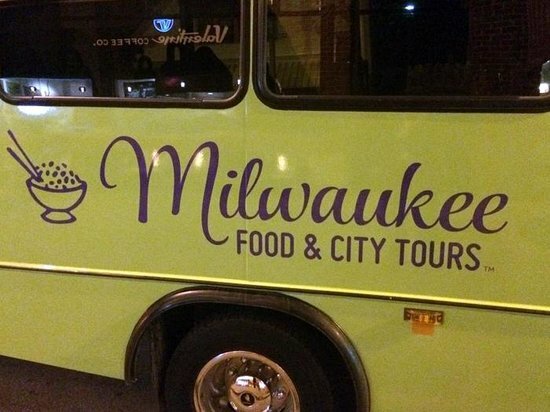 Thank you Milwaukee Food & City Tours for the $50 dollar gift card! Thank you Milwaukee Admirals for supporting Spokeswoman Valetta Bradford and her son Xzavier! Click here to visit the Milwaukee Admirals at this link. Click here to visit the website for The Mineshaft Restaurant. We have a $25 dollar gift certificate donated by Saz’s State House Restaurant! Thank you to Sky Zone Indoor Trampoline Park for two tickets donated to our Silent Auction. Thank you to our friends at Starbucks for the coffee and mug donations towards our Silent Auction. Thank you for these Starbucks coffees and mugs donated to our Silent Auction after summer weekend fundraiser to ‘Get X into Some Wheels’. A big thank you to Sunset Playhouse for two tickets to their after summer shows. Thank you to TGIF Fridays for the donation of the gift cards for appetizers or deserts! Thunder Mountain Press has also donated a $50 dollar coupon towards award framing. Thank you to our Three Mountain Men friends. Thank you to Toppers Pizza for the pizza gift cards. Thank you Milwaukee County Zoo for the admission tickets donation for our silent auction. Last but not least, many thanks to Carrabba’s for hosting our event the weekend of September 17 & 18, 2016.
for a great meal and a great cause! Carrabba’s is donating 20% of the food bill this weekend to the fundraiser to get Xzavier a new wheelchair accessible van. We are accepting donations for our silent auction that is being held during our fundraiser. Xzavier = Survivor = Heroes! 100% of your donations will be used to obtain a wheelchair accessible van for Xzavier. The X-Man Foundation is a federally recognized non-profit under section 501 (3) (c).